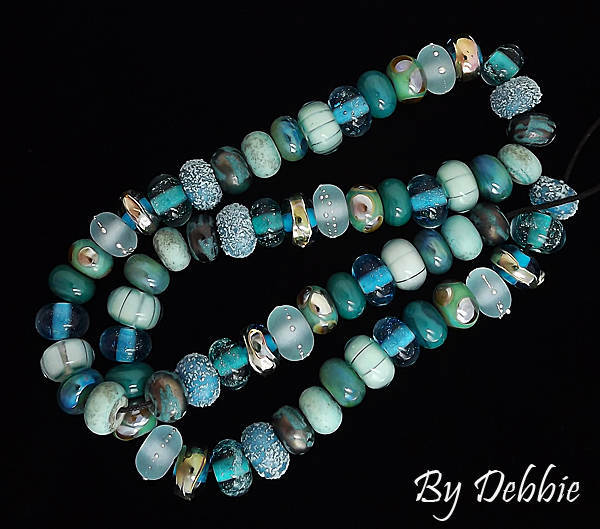 "Water Fall" A beautiful OrGaNiC set of 66 handmade lampwork glass beads made in shades of aqua, turquoise and teals. Measurements are roughly .35"-.40" (8-9 mm) in diameter for each petite glass round. Accents include silver glass and pure silver wire. Keep in mind that this is a made to order bead set and because so it will be unique but similar to the pictures. Please give me 2 weeks (longer if I have a backlog of orders) to finish your lampwork beads. If I need to order any special items for your lampwork beads, then that may increase the 2 week time frame. My lampwork beads are good for jewelry making projects and craft projects. Oh my goodness, the photos don’t do these beads justice. They are stunning. They are bright, lively and each bead so varied and interesting. 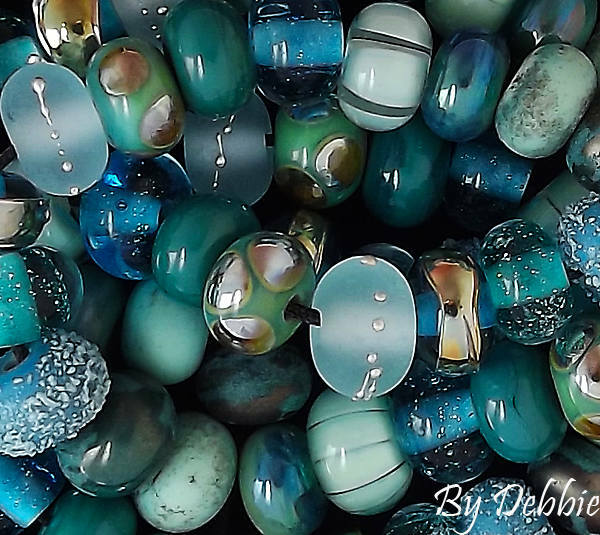 If you love teal and turquoise, consider these beads. 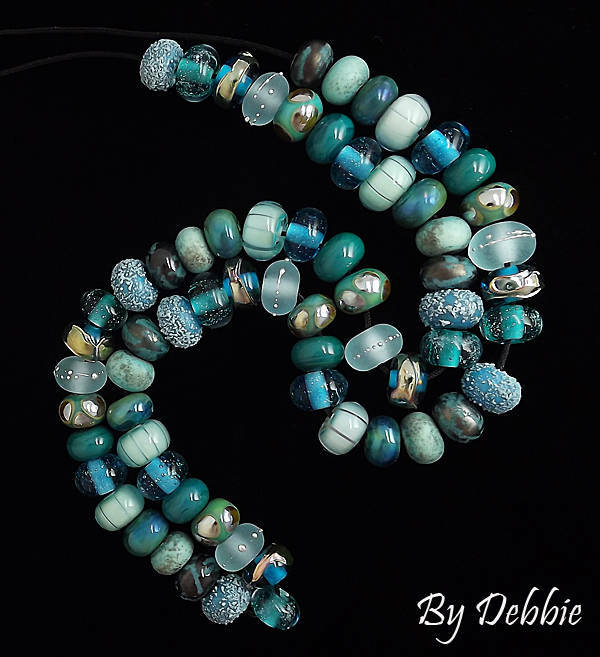 Debbie is a bead genius.